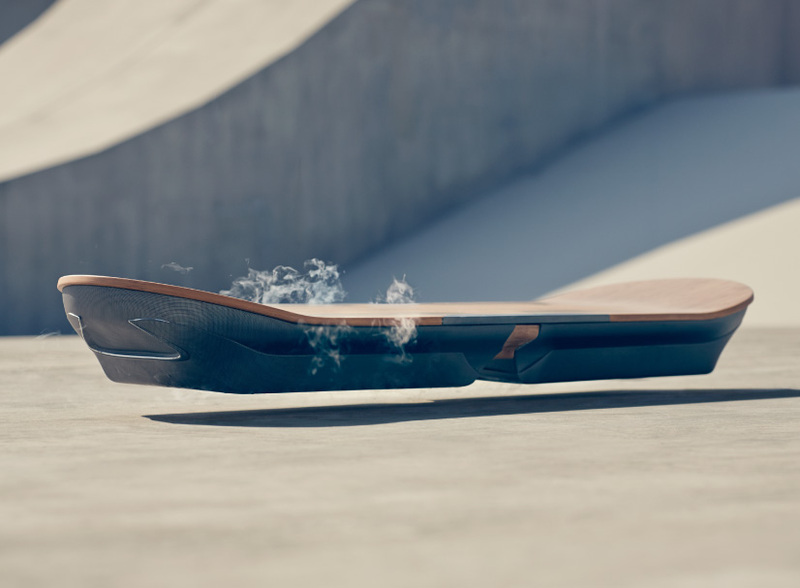 There are two things that really impress with the Lexus hoverboard. Firstly, it's very close to the actual look, size and shape of a regular skateboard. Second, the specialized park they built to demonstrate it looks very close to a regular concrete skate park. The two together really enhance the idea that Marty McFly's future has finally arrived. Unfortunately the Lexus hoverboard isn't yet all terrain (water excepted) like Marty's, so we're not really there yet but it's still a great achievement. You can actually experience what it's like to ride a real, working hoverboard, just like a skateboard with nothing but air between you and the ground. I feel someday, someone is going to crack anti-gravity vehicles. When that happens we'll get a true hoverboard, flying cars and all manner of craft that can literally just float in mid air. Somehow I'm not sure if magnets is the answer? At least not of the kind we know about with today's technology. Obviously there is a piece of the puzzle missing. Let's hope we find it soon. I looked at both those links. Very impressive! They need to stop the wobble from side to side, it looks like, to stop them falling off. I expect it's because it's not connected to the ground. I was wondering why they haven't got protective gear on, especially at the skate parks, helmets and elbow/knee pads. If it doesn't touch the ground, then perhaps they don't need concrete anymore for the surfaces, but could have artificial grass as in that green spongy stuff. They could have some of that in the skate parks when it's perfected for sale, for those that have them, until everyone eventually has them, then no more concrete. Some will want it for the small bikes I expect.